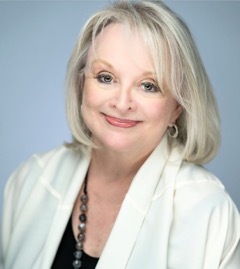 Margery Krevsky Dosey, president and CEO of Production Plus-The Talent Shop, was honored at the National Association of Women Business Owners (NAWBO) Greater Detroit Chapter 25th Top 10 Michigan Business Women Awards ceremony. The event was held on March 28 at Somerset Inn Banquet and Conference Center in Troy. The awards are given each year to Michigan business women who excel at their given professions. Dosey has been featured in magazines, trade journals, and business publications. She founded Productions Plus Inc. in 1981 with Harriett Fuller, a former auto show and runway model. Dosey has been sole proprietor of Productions Plus since 2000. The company supplies auto show product specialists. Under her direction, product-knowledgeable representatives in brand-styled dress began presenting in auto show exhibits that were previously silent or presented with memorized scripts. Dosey is a fashion and retail manager, served as an editor of Glamour Magazine, and wrote Sirens of Chrome: The Enduring Allure of Auto Show Models. She graduated from Lock Haven University, Tobe Coburn, and Temple University.